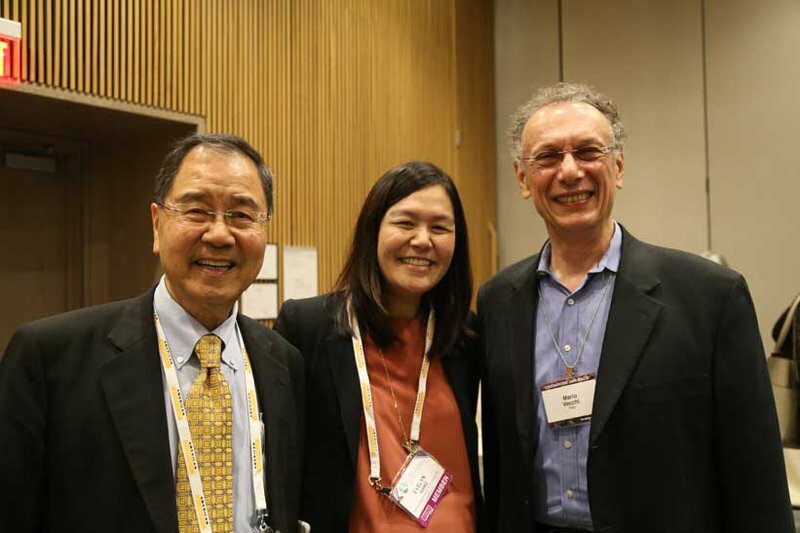 Hello, my name is Evelyn Wang, and I am a co-chair of this session. I’d like to start off with a short anecdote about my time with Millie. Millie always brought her violin when she came to visit us! One of my fond memories of Millie was when I was in middle school. I had heard from my dad that Millie was coming to LA for a meeting at CalTech, and that she was planning to visit our home afterwards. I was so excited! 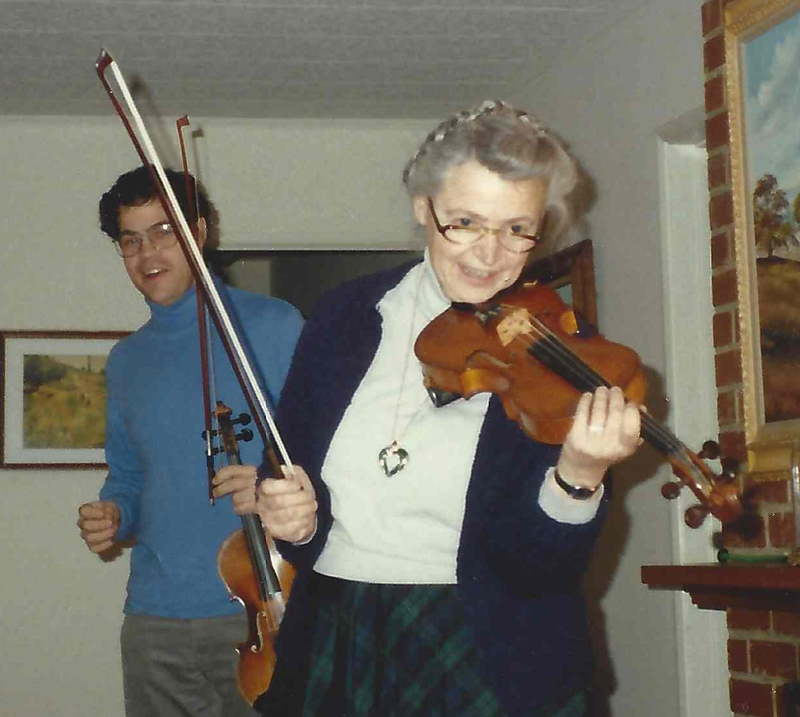 I knew that she always brought her violin with her, every time she visited us, and I loved playing with her. This time, I got a pleasant surprise! Her son, Paul, was in the area — and he could play the viola. I was told he would be joining Millie at our house. 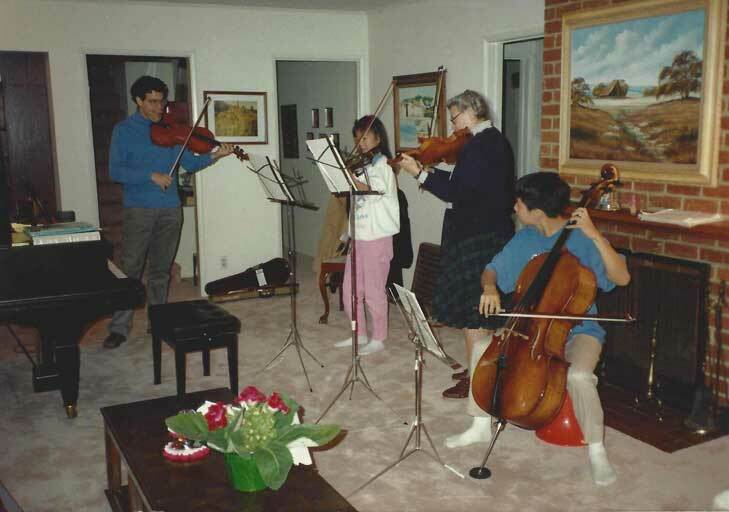 It was very exciting, because my brother, Ben, played the cello — so all together, we had exactly the right players for a quartet! It was certainly a chamber music night. I play with my brother, Millie, and Paul at my house. Then I thought a little more, and realized I was suddenly very nervous to meet her. I had played with her before, of course, but a lot had changed since then. I’d started hearing more and more about her accomplishments as a scientist and violinist. Did I need to impress her? What if I wasn’t up to her standards? But I needn’t have worried. The moment Millie entered our house, she greeted us all with her warm and genuine smile. My nerves eased immediately, and I was ready to play. We started off with a movement of Eine Kleine Nachtmusik and continued through the night with a fun repertoire of chamber music. 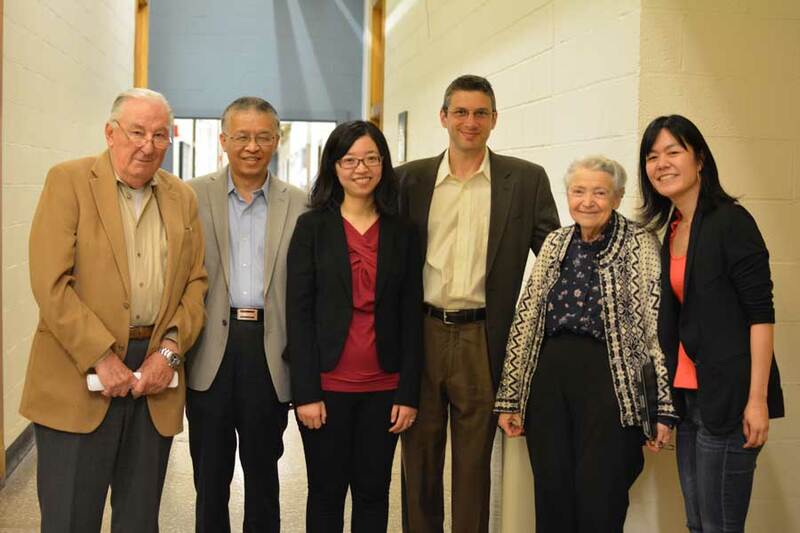 I hope that as we honor Millie, we remember both her scientific accomplishments — and her incredible way of putting those around her at ease. It’s something I, personally, will never forget.